What makes sod such a desirable way to lay turfgrass is its “instant grass” appeal. Our sod comes with a strong root system and thick, lush grass grown from strong seed mixtures. Country Green Turf Farms takes extra precautions to eliminate the risk of weed seed infiltration during germination. Our best practices in soil preparation as well as our special blend of aftercare fertilizer, which is included with your sod purchase, are some of the reasons we are known for the best sod in Snoqualmie. Our soil preparation starts with fumigation to rid the soil of weed seeds, stolons, rhizomes, tubers, and other pathogens. This lays the groundwork for a healthy environment for grass seed to flourish. The strong, healthy grass that results makes it more difficult for weed seeds to find their way in, once it has been transplanted. The sod that comes from us is set up to succeed. In addition to these best practices for soil preparation, we also offer time-tested seed mixtures designed to thrive in specific environments. We have sod that is tough and resilient for sports fields as well as shade-tolerant mixes for spaces around tress or other barriers to all-day sun. All are sod comes from seeds that thrive in the wet, temperate climate of the Pacific Northwest. What purposes do you have in mind for you sod? Our professionals have the expertise to help you select the right mix for your needs and space. We are always pleased to talk shop with out customers to make sure you get the turfgrass that best fits your growing conditions as well as the purpose you want to use it for. Country Green Turf Farms has expanded over the years, but we are still a locally-owned family business. We have been perfecting our craft over three generations since 1988. We care about the services we offer. That is why we are here for delivery and installation as well as aftercare products, questions, and support. 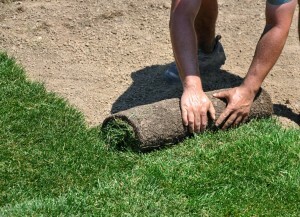 It is important to us that the sod you get from us is healthy and will thrive in its new home. We offer large area installation, with longer, wider strips for field or pasture coverage as well as smaller strips to cover backyards or to go outside an office space. Whatever space you want to cover, we get you the right kind of sod in the right size for the easiest installation. We also have the equipment to install sod in large areas when needed. 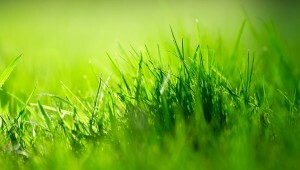 Call now for your sod in Snoqualmie and let us deliver you the green grass that will thrive for decades to come.